Here is something interesting. 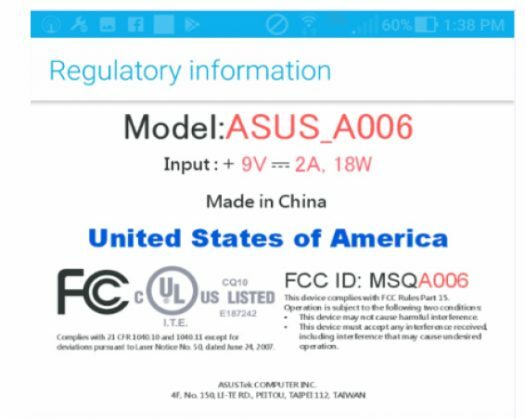 The A006 model Zenfone has just showed up at the FCC. Certainly this bodes well for an earlier release in comparison to last year and the Zenfone 3. We just don’t know details of the A006, but we are going to dig right now and get some more information if it does exist out there. Here is what we are expecting. Nothing official from Asus, but various tidbits have emerged online regarding the A006. 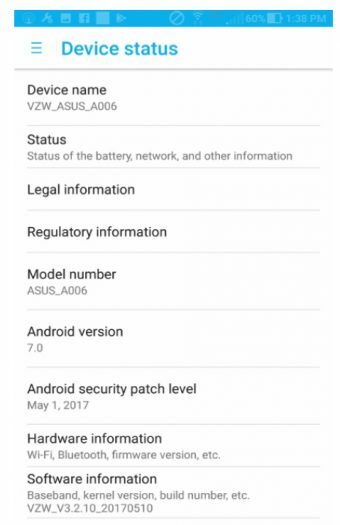 This is the Zenfone 4V (V520KL) which is set to be a Verizon exclusive. Based on the model number, it’s 5.2-inch smartphone sporting a Snapdragon processor. Some previous spec details were found in a GFXBench listing a number of weeks ago. The Zenfone 4V has a quad-core 2.1GHz processors, Adreno 530 GPU, 1920 x 1080 resolution screen, 4GB RAM and 32GB storage. The cameras are likely to be a 21MP rear and 8MP front facing.